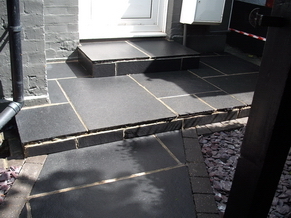 With Limestone becoming a popular paving and one of the favourites is Black Limestone, but does need some TLC. 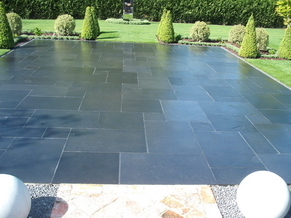 Black Limestone looks great when it is first laid but as any homeowner knows soon turns to a steel grey appearance after around 3-6 months after it has been exposed to daylight and starts to get UV damage. So what does one do to Limestone to get the depth of colour back? 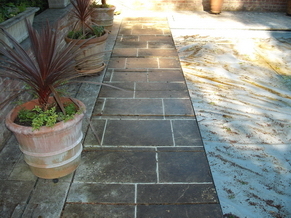 Firstly you need to deep clean the stone and on no accounts us any ACID based product as this will ruin the Limestone. 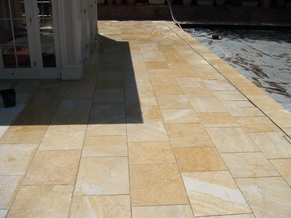 Limestone is Calcium based stone and will not tolerate any acid product. You can clean and re-hone the surface to get that extra finish. 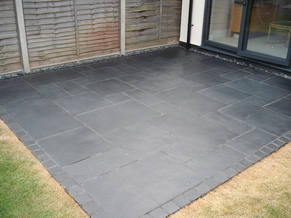 After all this you need to seal the stone using a colour enhancing impregnating sealer, this will give you the depth of colour back so Black Limestone returns to the beautiful appearance is was when first laid and you will have sealed the paving correctly. You don’t want to use a surface sealer as this will fail after around 6 months maximum. All this sound too much to do? Most stain removals oil, grease, food fats etc. 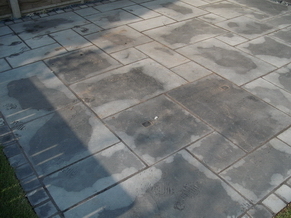 Where a stone has been acid etched and we see this all the time where people without the correct knowledge have attempted to clean using an off the shelf patio cleaner, most of these contain hydrochloric acid and will damage the paving, but we can re-etch & re-hone the surface in most cases. 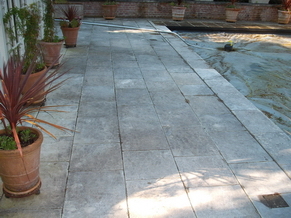 We don’t just clean and seal Black Limestone, you’ll see from our photos that Jerusalem Gold, White and Moleanos Limestone’s can be brought back to life with a bit of TLC. 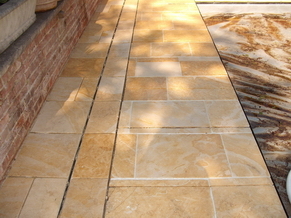 We also maintain Indian Sandstone, Travertine, and Yorkstone amongst others. 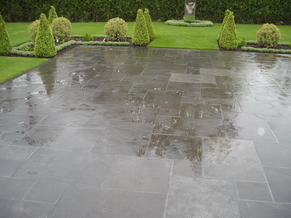 So call R&A Pressure Washing Services, you’ll be surprised at what we can do. Excellent service, prompt and courteous. Very professional. Excellent service and really genuine people. Very professional and knowledgeable, would recommend to anyone. 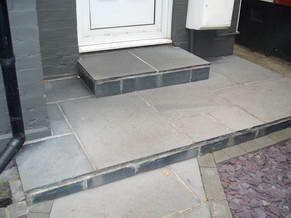 We are delighted with Roger and Angela's restoration of our decking and paving stones which have come up like new. We have no hesitation in recommending them.